Great New People at Ocean Boatworks! 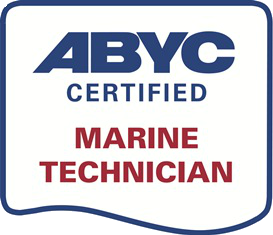 Ocean Boatworks has recently grown its staff by three: Drew Larson, a highly skilled marine electronics geek, Paul Banitch, an all-around boat mechanic with a deep background in engine work, and Eric Bert, an experienced shipwright, have joined the OB crew. A native of Northern California, Drew has always been a natural at electronics. He studied mechanical engineering before graduating from the Northwest Wooden Boat School in Port Townsend. He is a self-described absent-minded nerd who “might walk into a telephone pole while thinking about details.” Drew is passionate about boats and always excited to see new ones. Paul has been mechanically inclined since childhood and enjoyed fishing and boating while growing up. He spent 35 years in the motorcycle industry before switching to boats. He moved to the northwest from Los Angeles because of the water, the boating opportunities and the overall beautiful country. Paul enjoys animals, meeting new people and most of all he loves being outside working on boats – a perfect fit for Ocean Boatworks. Eric Bert was brought up on the waters of Puget Sound near Olympia. He attended the Boat Building School in Eastport, Maine and has been employed in building and repairing traditional and modern boats since 1994. Together these three awesome workers have greatly increased the capacity of Ocean Boatworks. Besides the added available man-hours, their combination of skills will allow us to offer a greater range of services and more flexibility. We can now provide a comprehensive team and get the work done on an even faster schedule than before. Winter is the perfect time of year to get your craft in shape for the upcoming boating and fishing seasons. With our increased capabilities in mind, give us a call so we can help you get your boat up to speed and in the water.